The marathon represents the ultimate challenge for many runners, testing both mental determination and months of physical training. 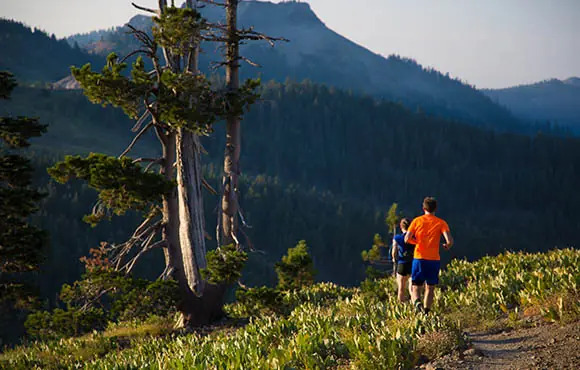 It's no wonder so many runners turn out across the country to compete in them­—or to simply get across the finish line. These are currently the 10 largest marathons in the U.S., according to Running USA. Note: These numbers reflect the 2014 races, which are the most recent numbers available from Running USA. 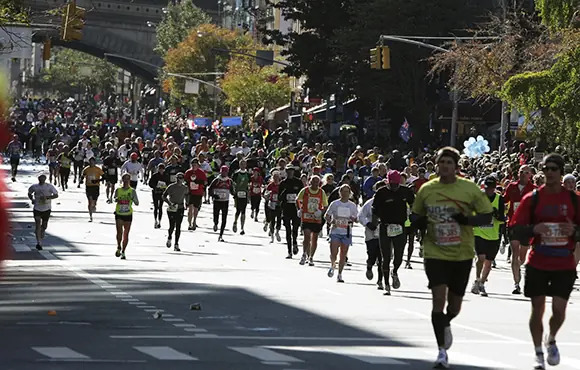 The TCS New York City Marathon courses through all five NYC boroughs and draws an estimated 2 million spectators each year. Not only does it top this list, but it's also currently the largest marathon in the world. For many runners, it is a bucket-list race and the epitome of urban running. The Chicago Marathon is known for its fast and flat course, making it a popular race each year for those looking to set a new PR. While registration is limited to 45,000 runners, participants can register by either meeting a time qualifying standard or by being selected through a general lottery. The 2015 race was the 38th anniversary of this historic event. Perhaps the most well-known of all U.S. marathons, the Boston Marathon is also the world's oldest, having held its first race in 1897. It is always run on Patriots' Day, the third Monday of every April, and attracts around 500,000 spectators each year, making it New England's most widely viewed sporting event. The Honolulu Marathon is a popular destination race because of its exotic location, though it can present unique challenges with its tropical weather conditions. Entry to the Honolulu Marathon is open to anyone who can pay the registration fee, typically around $185, with large discounts offered early in the year. Unlike other marathons, there are no qualifying standards to meet, so it's a popular choice for first-timers. The L.A. Marathon recently celebrated its 30th anniversary and features a popular "Stadium to Sea" course, taking runners by several major L.A. landmarks, from Dodger Stadium to the finish line just a few steps from the Santa Monica Pier. The race is typically held on or near Valentine's Day, so it's a great opportunity to celebrate love with your favorite running partner. The Marine Corps Marathon takes place in Arlington, Virginia, the headquarters of the U.S. Marine Corps. Its mission is to promote physical fitness, generate community goodwill and showcase the organizational skills of the United States Marine Corps. The race is known as "The People's Marathon," since it is open to all runners ages 14 and above and is the largest marathon to not offer prize money. Perhaps the most "magical" of all the marathons, this race takes place in Orlando, Florida, and takes runner through all four of the renowned theme parks. Beginning at Epcot, the race continues on to Magic Kingdom, Animal Kingdom and Hollywood Studios before finishing back at Epcot. The course also features Disney characters and entertainment, and finishers receive a Mickey Mouse finisher medal. This race is held on the third Sunday of November each year. The course emphasizes the city's history, taking runners past landmarks that include Independence Hall, the Betsy Ross House and the Liberty Bell. Many runners use it as a qualifying race for entry into the Boston Marathon. The Medtronic Twin Cities Marathon takes place in the Minneapolis-St. Paul area and is also known as, "The Most Beautiful Urban Marathon in America." The course winds around several of the city's lakes and runs along the Mississippi River. Miles 21–25 are a steady uphill climb—considered among the most challenging finishes in American marathons. The Chevron Houston Marathon is the largest single day sporting event in Houston, with around 200,000 supporters and spectators participating. The fast and flat course starts in the downtown area and takes runners through popular areas like Houston Heights, Neartown, Hermann Park and Rice University. The course is a popular choice for runners hoping to qualify for the Boston Marathon.